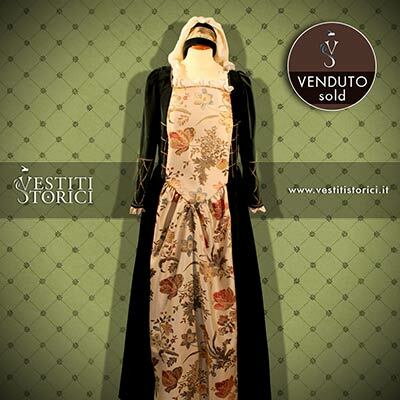 Costume in tessuto broccato blu con disegni floreali dorati con sottogonna e corpetto panna e passamanerie dorate. 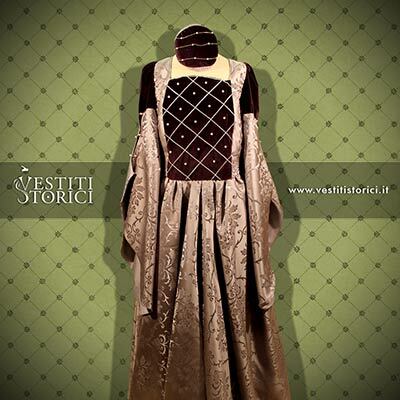 Dark purple and silver damask woman costume. Velvet bodice with pearl inserts and silver trim, double sleeves. 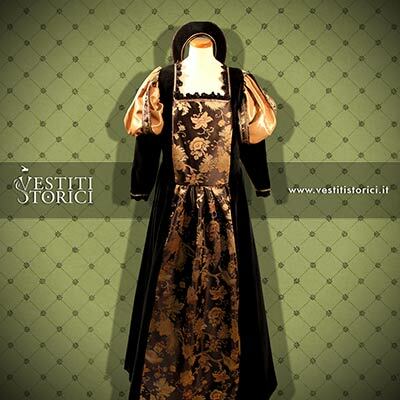 Black velvet and black damask woman costume with gold floral pattern, wide black velvet and damask skirt. 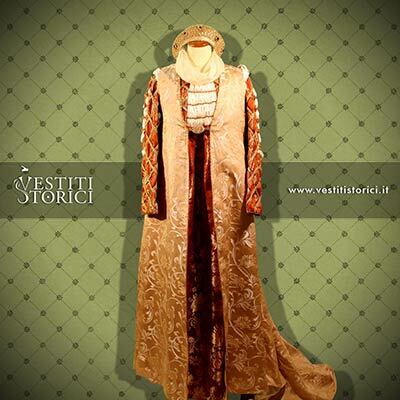 Woman costume with burgundy damask tunic, gold braid trim, open sleeves and puffed shirt. 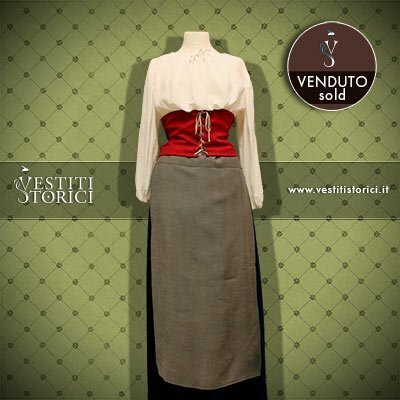 Peasant woman costume with beige shirt, red bodice, blue skirt and grey apron. 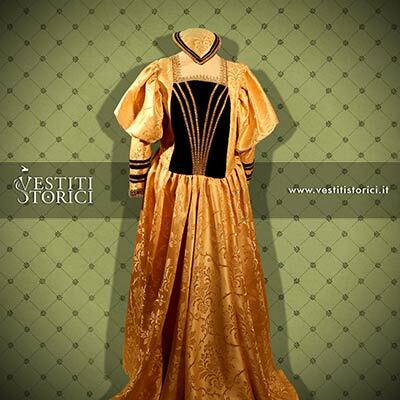 Gold damask and black velvet woman costume with puffed sleeves and gold trim bodice. 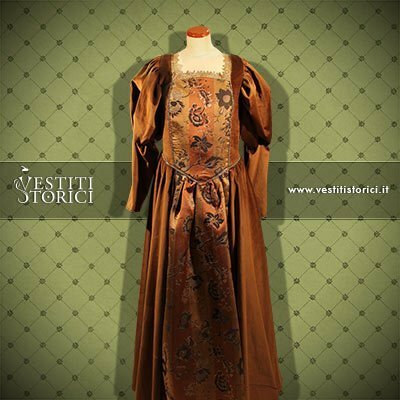 Light brown velvet woman costume with damask floral pattern in different shades of brown, puffed sleeves and gold trim. 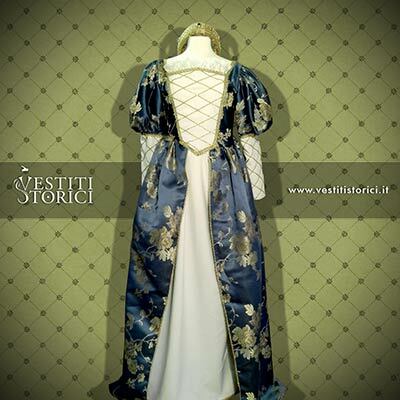 Green velvet and cream damask woman costume with multicolor floral pattern, sleeves and bodice with gold trim. 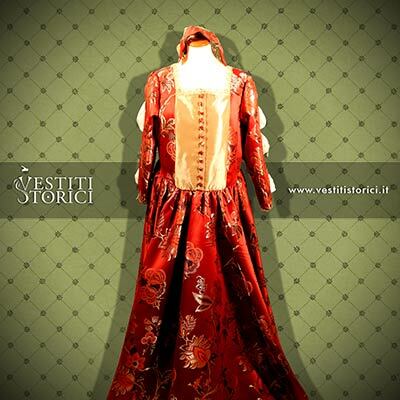 Burgundy/gold damask woman costume, damask skirt. Button front bodice, open sleeves and puffy shirt.